Sometimes we give you individual stock recommendations by taking into account your individual investment circumstances. We understand that you and the situation with your portfolio are unique, so we cannot ignore this fact and give everyone the same signals on hot stocks. Some stock picks are personalized for you! They are a good match specifically for your portfolio. 1. What service does BullsToBears.com offer? Our mentor program is a widely-popular program specifically designed to teach and train every day traders how to precisely identify when a trend begins or ends and how to profitably trade that information using little-known tools, strategies and techniques for consistent gains! Everything you need to know will be digitally delivered to you on-line where you will be able to interact with other traders, ask questions and learn from our extraordinary trading environment. You won't learn just by reading, watching videos, CDs, or by visiting stock market websites. Our coaching will show you how to trade, how to tie together all that you've studied, read, and watched, and will teach you those things you didn't know you should know. With the Bulls To Bears mentor program you'll receive time-tested, high probability, trend-ready, fully-disclosed trading strategies that have stood the test of time for making more money out of trading Stocks and Options. This personal mentoring program WILL provide you with incredibly powerful insights and trading strategies that could easily be worth tens of thousands of dollars to your bottom-line. Short Term Alerts: Each Monday, before 11:59am (Eastern Standard Time), our team of in-house analysts publish an in-depth report or reports on stocks from the NYSE and NASDAQ that we feel confident will show you a 12-15% return in 15 to 20 trading sessions. Intermediate Term Alerts: On a Monthly basis, usually on the Second Thursday we publish our intermediate term report. The objective is to isolate new opportunities that will yield a 20-30% return within 45 trading sessions. Long Term Alerts: On a Quarterly basis, every 3 Months, we publish our long-term report. The objective is to isolate new opportunities that will yield 30-50% over the next 90 trading sessions. Another purpose is to eliminate the misconception that once you own a big name blue chip you are guaranteed a big return. Special Situation Alerts: These are published whenever our analysts feel an exciting opportunity presents itself. With every new dawn there is a new trading session and opportunities for those of us who chose to seize the day. This is your classic high-risk, high-return scenario. We feel these stocks are poised to move higher and could greatly improve your portfolio. Call us daily if you want to Day Trade. On any given day we are monitoring dozens of stocks. Remember we are here to help you, help yourself! Options Alerts: BullsToBears.com is also, an options trading service. 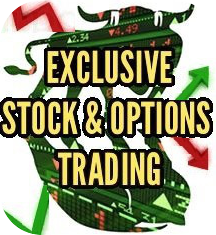 As a Member, you will be alerted when to enter, exit, and how to act on options trades on the hottest stocks and markets. Our service makes options trading fun, easy, and lucrative. BullsToBears.com combines the advantages of trading options with proven swing trading strategies that achieve profitable gains. By trading options, we teach you to take advantage of leveraging benefits (trade high-priced stocks with little capital), powerful returns (50%-100%, sometimes greater), and bear markets (play the downside of a stock more efficiently than shorting). Adding to this is the benefit of trend trading. You will not need to worry about tracking every trade throughout the day, rather, capitalize on major swing trading action. We know that the right option picks can lead to huge gains when trading options! Gains like +100%, +200% or more! This is why option trading has increased among private investors. Our option plays may be the key to your success. By continuously scanning the options market, we identify actionable opportunities and send a signal directly to you, we also identify an exit point when to close the position...when the time is right! If in the meantime the underlying trend changes, we identify another exit point and instruct you to modify (“roll”) the position accordingly. We look beyond charts, fundamentals and historical volatility. We recognize the market games played by the large traders and the ways in which they shape the direction of market trends. The resulting short-term trading opportunities are for you to make big profits. We encourage you to join our community and trade along side our other investors that have discovered the powerful potential of trading stock options. Our service costs around $4000.00 per year. However, (Section 1086 of the U.S. tax code basically states that Investors' expenses/investment counsel fees paid by an investor are deductible on schedule A of 1040 as an itemized deduction…In LAYMEN's terms: Someone in the trade or business of investing may deduct these expenses from gross income (up to 53%). So, after the write off and our profit showing, we work for you for free! 3. When is the best time to invest in the market? We provide short and long-term recommendations designed to perform well during a bull or bear market. At any time we could have a buy recommendation or a short sale on a stock. 4. How can BullsToBears.com be a one-stop shop? Our reports contain a wide variety of investment products because it is wise to never keep all your eggs in one basket. These products range from large cap, dividend paying blue chips all the way to speculative small caps. 5. How can I receive your service? Obviously, our reports are time sensitive. Investors can receive our reports on our Web-Site, Fax or by phone. 6. I’m a very busy person. How can BullsToBears.com be an asset to me? Because of the large volume of stocks traded on the various exchanges, it is impossible for the average investor to research the market in its entirety. While your at work. We are assessing the markets. Our BullsToBears.com team of analysts does this job for you diligently and makes quality, timely, recommendations for you that will save you time and energy. We want to see you succeed. 7. How much money can I make? Nearly unlimited. Depending on how many trades you want to make and how much money you want to invest. We'll give you an example. Let's say our average daily return on our stock picks is 15%. If you decide to invest $10,000.00 one day, equally among the several stock picks of that day you would make: $10,000 X .15 = $1,500 Yes, $1,500 profit for one day trading! You would be lucky if you could make 5% in any other investment in a year! In contrast to a seasoned offering, an IPO is the offering of shares of a company that are not publicly traded. The most common are IPOs of fixed-income securities, equity securities, warrants, and a combination of equity shares and warrants (“units” ). The term IPO is often used to refer only to equity or unit offerings. We concentrate only on equity and unit offerings in the United States. IPO offerings are by prospectus only. We, at BullsToBears.com, welcome you to try our market reports that cover an array of topics ranging from economic data to earnings analysis and focuses on the events of the recently completed trading sessions. Contained in our reports are a assessed analysis of the major indexes. We remain committed to showing you profits. Click on 14 Day Free Trial Form and start making money today! Stick to what you do best! This is our living. There is no other service around exactly like ours. Join our community and see why we are the traders choice for their stock and option picks. "When trading stocks the quality of the advice you get makes all the difference."